Photo from article “Arkadelphia native part of South Carolina Civil Rights movement." Via Siftingsherald.com. As historians move beyond the narrative of a single story we begin to encounter new stories and new truths. 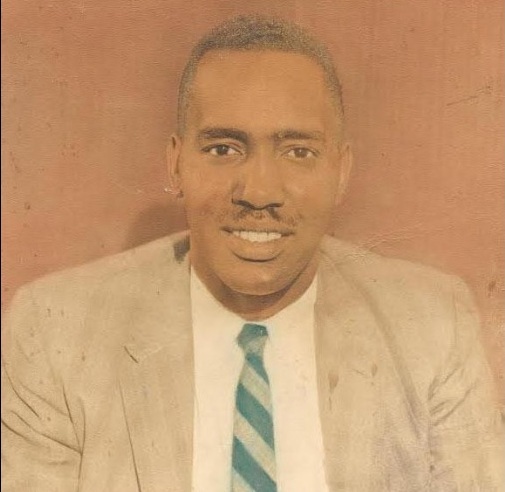 Reverend Cecil Augustus Ivory is a name that may be new to many, but in the context of 1960s Rock Hill, South Carolina, he is recognized as an early leader of a particularly influential local civil rights movement. The Presbyterian Historical Society is fortunate to have a number of records related to Reverend Ivory’s fascinating life that indicate how he became the leader he was. Born to Baptist parents in Arkadelphia, Arkansas, on March 3, 1921, Ivory was drawn to the Presbyterian Church in the U.S.A. by his time studying in Presbyterian schools. The first Presbyterian school that he attended was Mary Allen Junior College  in Crockett, Texas, from 1937 to 1939. 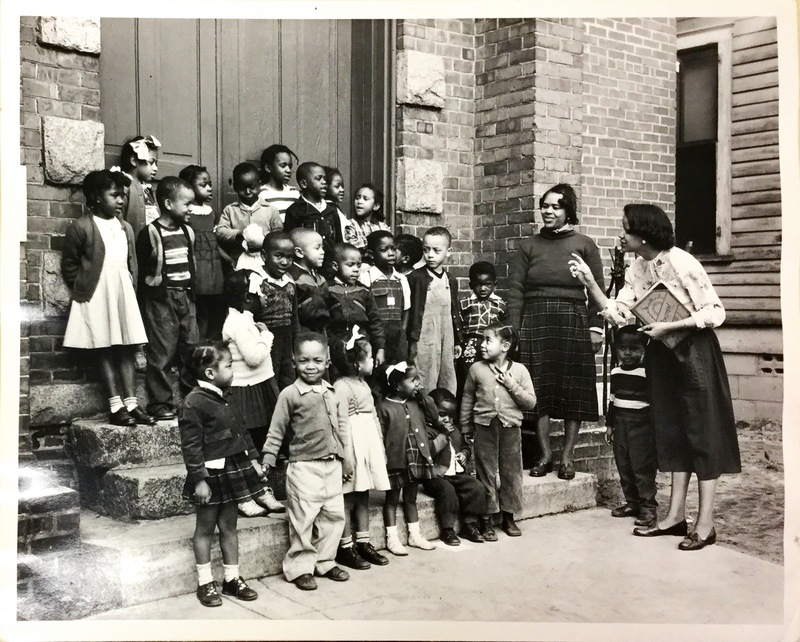 Mary Allen Junior College was founded and run by Presbyterians as an African American women’s college until it was restructured as an accredited co-educational junior college in 1933. By the time Cecil A. Ivory attended the school, Mary Allen boasted both African American faculty and administrators. 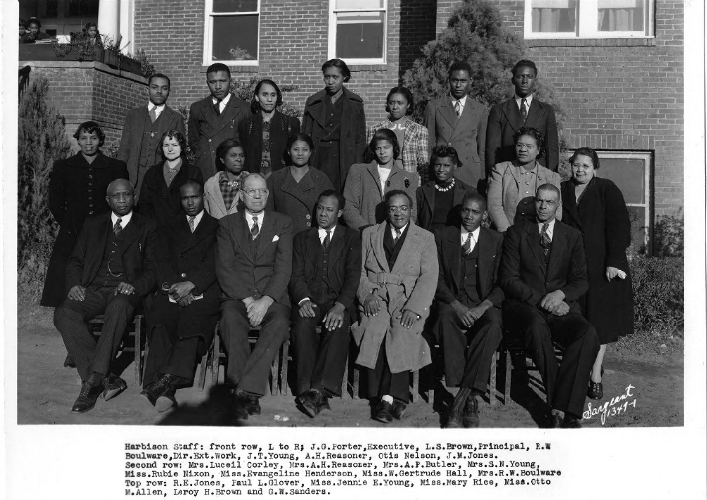 From 1942 to 1946 Ivory attended Johnson C. Smith University , which had been established in 1867 as the Biddle Memorial Institute by members of Catawba Presbytery. The school would later change its name in honor of the husband of one of its most generous benefactors, Jane Berry Smith. 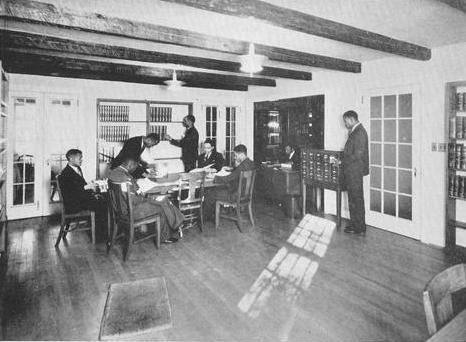 Above we can see the interior of the main reading room in the Theological Library at Johnson C. Smith. Ivory would have spent time here as he pursued his Bachelor of Arts and Bachelor of Divinity from the School of Theology. While studying at Johnson C. Smith, Ivory took on one of his first leadership roles. As Dean of Pledges in the Alpha Epsilon chapter of Kappa Alpha Psi fraternity  (see the letterhead below), he became a role model to other young men. Correspondence, 6 May 1946, Ivory, Cecil A., RG 414. By 1947, the ordained Reverend Cecil A. Ivory was serving as pastor of the First Presbyterian Church and Director of Religious Education at Harbison Junior College , both in Irmo, South Carolina. As a pastor and faculty member at Harbison, Ivory further developed his leadership skills. This 1940 photo of the staff at Harbison shows some of the colleagues he began working with in 1947. It may have been during one of these trips into the countryside that Reverend Ivory fell off the tail-end of a pick-up truck and aggravated a childhood back injury. This 1956 accident led to him using a wheelchair for mobility. Despite his injury, he went on to help organize and lead many protests against segregation in Rock Hill; he also became the NAACP chapter president. In 1957, he organized a bus boycott that is credited with sparking the city’s movement for social justice. His actions were noticed and applauded by national leaders such as James Farmer, Ella Baker, and Thurgood Marshall. In June of 1960, he decided to hold the first “wheelchair sit-in” when he was denied service at the McCrory lunch counter. By February 1961, Reverend Ivory had been arrested after multiple protests in downtown Rock Hill. Sadly, in November of that same year he died at the age of 40. “Reverend Cecil Ivory: Civil & Human Rights Movement Pioneer” Via freedomwalkway.com . Though his life was cut tragically short, Reverend Ivory had a lasting impact on Rock Hill and on the many civil rights movements around the country that drew inspiration and courage from the protests in South Carolina. Despite numerous obstacles, Ivory never lost sight of why he was fighting for social justice and who he was ultimately fighting for. "Mrs. Emily Ivory (Widow of Cecil A. Ivory), superintendent of the nursery, leads the children in song. " From Congregation Vertical File, Hermon United Presbyterian Church, (Rock Hill, SC), RG 425.